Zambezia, Mozambique. 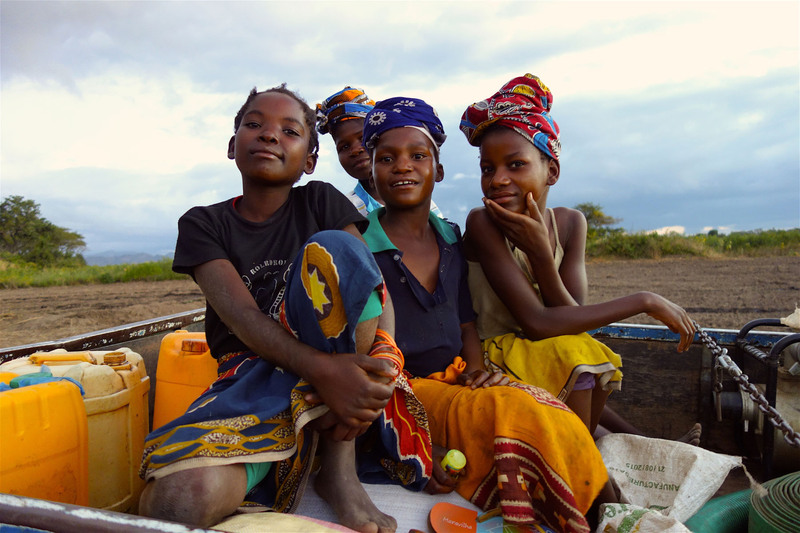 Several girls sit in the back of their neighbor’s truck waiting for a ride at dusk out of the farm fields. They have been doing odd jobs throughout the afternoon, like watering vegetables, in exchange for some coins to buy candies. The truck engine won’t start, so the girls entertain themselves singing songs, and tease each other about wanting to leave school to get married before they are 15. 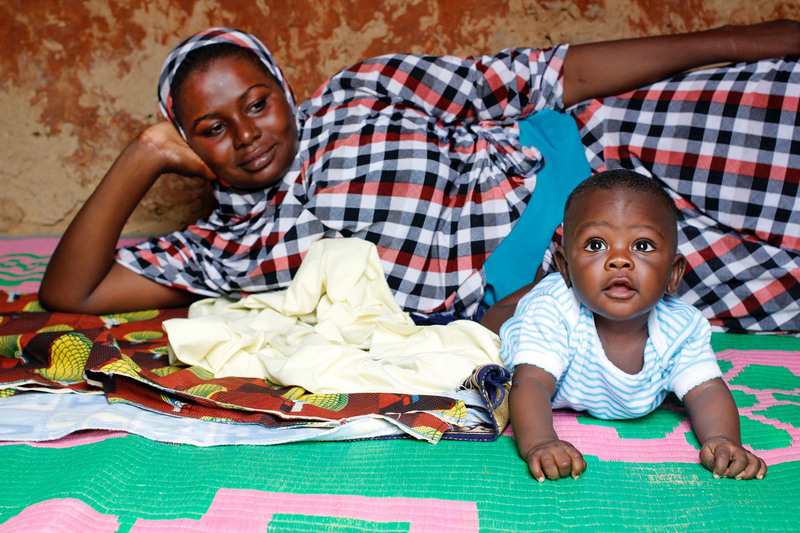 In a small village about 90 kilometers northwest of Niamey, Niger, along the Niger river, my research assistant Rahina and her son Abdulrahman escape the afternoon sun. Work continues following the afternoon prayer. Pune, Maharashtra, India. Kalmadi High School, Mini Kindergarten class (2-3 years old). 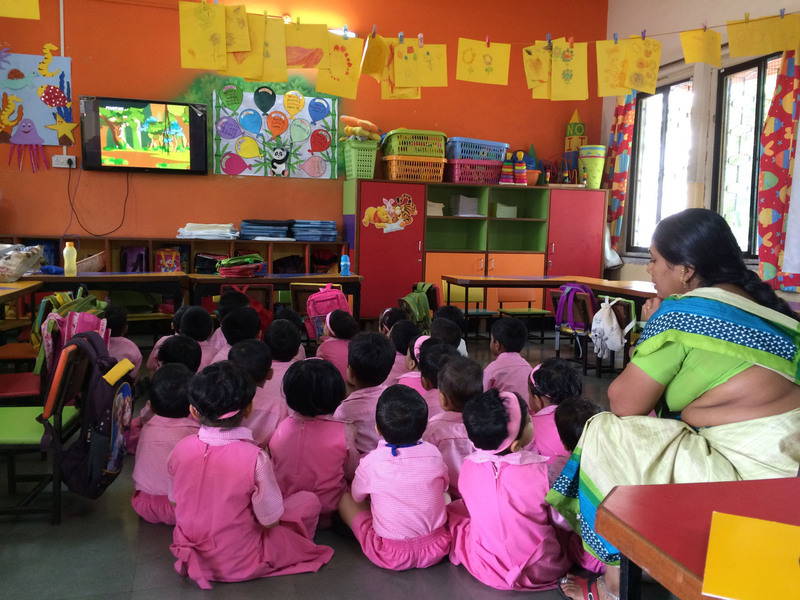 English-medium Indian students watch songs in English on TV. Students sit mesmerized by a video playing songs in English. An assistant sits beside them and makes sure they stay on task, mainly, sit quietly and watch the video. Their bright colored uniforms set them apart from the other grade levels at the school and blend into the bright colors of the classroom and its wall decorations. Sans-Souci Palace, Milot, Northern Haiti. 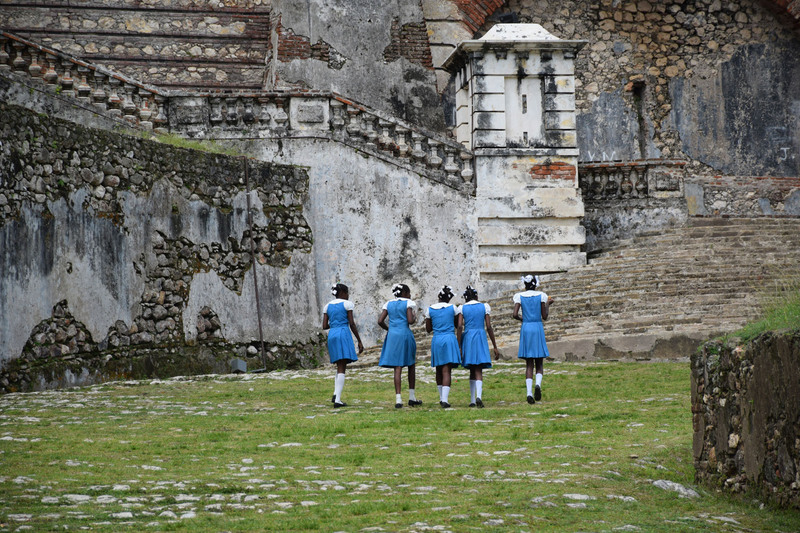 Local school girls wander their backyard, the ruins of Sans-Souci Palace. In 1810, after declaring himself king in the north, Henri Christophe conscripted his subjects — Haitians who had recently gained their freedom during the only successful slave revolt in history (1791-1804)–to construct a royal residence. Today, Sans-Souci Palace comprises part of the UNESCO World Heritage Site Parc National Historique. Though in ruins, Milot’s contemporary inhabitants navigate the palace’s roofless rooms and associated structures on a daily basis. They flow easily in and out of fenced off spaces, and their modern homes rest atop its foundations. Yasawa-i-rara Village, Yasawa Island, Fiji. 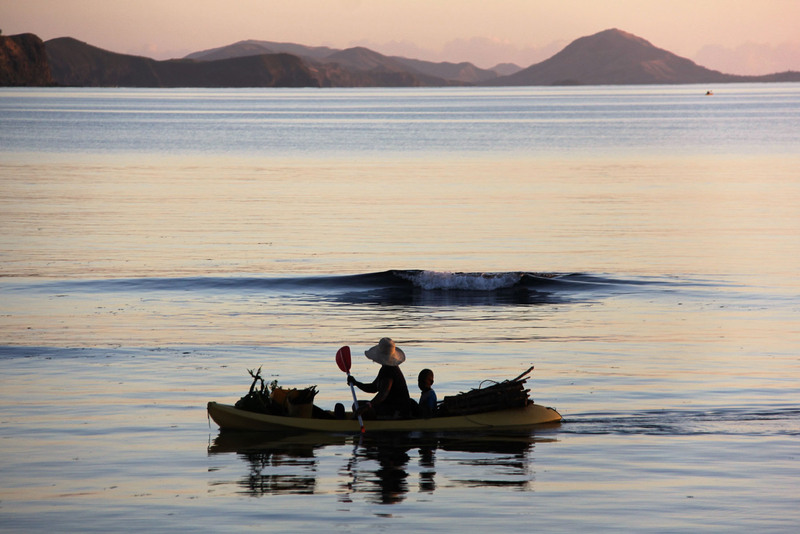 A mother and her three-year-old son return from the family farm in an old kayak, hauling freshly-harvested cassava roots, fish, and a bundle of firewood for the family hearth. Her two older sons walked the several kilometers home with their father. Extended families and clans are the economic backbone of Yasawan villages, but nuclear families with few kin nonetheless find support in times of need. In the distance, another villager sets out for a Saturday evening spent line fishing for Sunday dinner. Portopalo, Sicily, Italy. 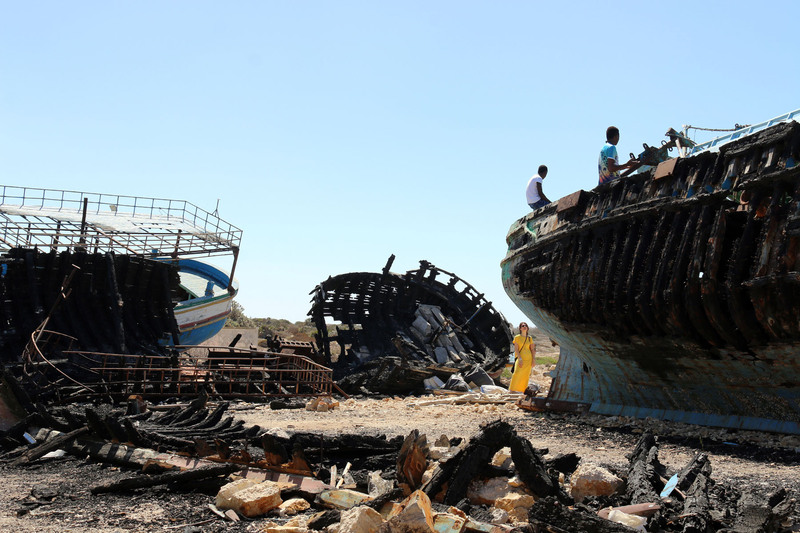 Unaccompanied minor refugees visit a “boat graveyard” in Sicily, where the Italian Coast Guard brings large defunct boats from which many migrants fleeing Africa from Tripoli were rescued. The boys sit on the same type of boat that brought them to Italy, where they spent days at sea, and witnessed the death of their friends and other migrants. The psychologist at the center in which they live watches them as they stare out over the Mediterranean. Chugurpampa, Peru. 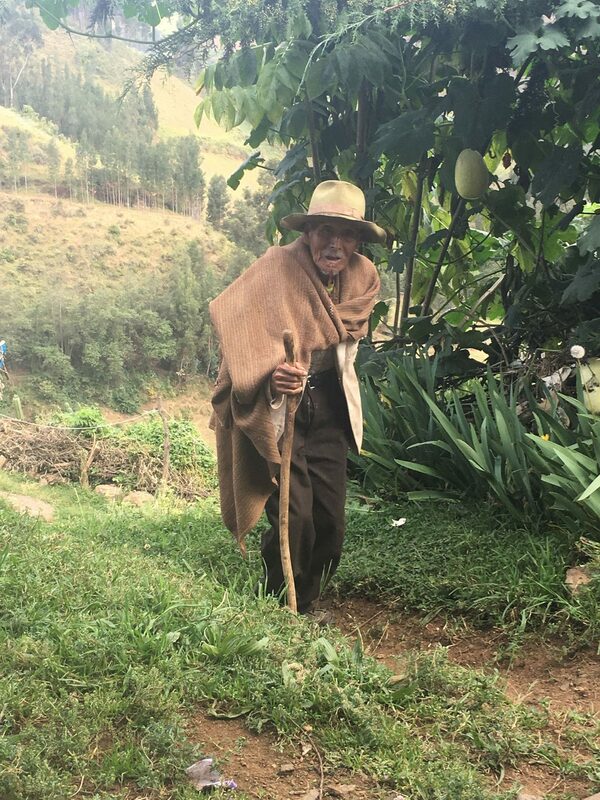 I first met Don Neptalí, 85, nearly 30 years ago while doing my dissertation fieldwork in the Andes. He was a campesino with a large family who suffered nagging ailments from his previous years working in freezing cold water in the high Quiruvilca silver mines. Though he still ails, he gets up and going daily, a testament to his strength and endurance. Though a bit slower and hard of hearing, Don Neptalí is of sound mind and enjoys recalling events of years past. 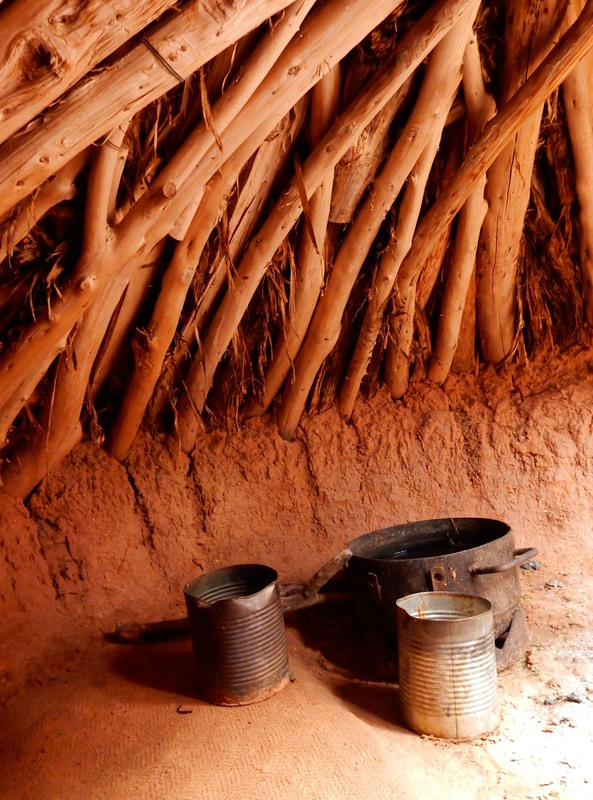 Located in Arizona, the interior of this Navajo sweat lodge is a sacred space for physical and spiritual renewal and purification. It is made of cedar branches and covered with red earth. During a sweat ceremony, the doorway is covered with heavy blankets, creating complete darkness inside. Heated rocks are placed in the middle of the dome floor to generate intense heat, and cans of water are poured over the hot rocks to create steam. During the sweat ceremony, participants may sing special songs, say prayers, recite stories of their clans, or talk about current concerns. Whatever is spoken inside the sweat lodge remains confidential. Los Angeles, California. 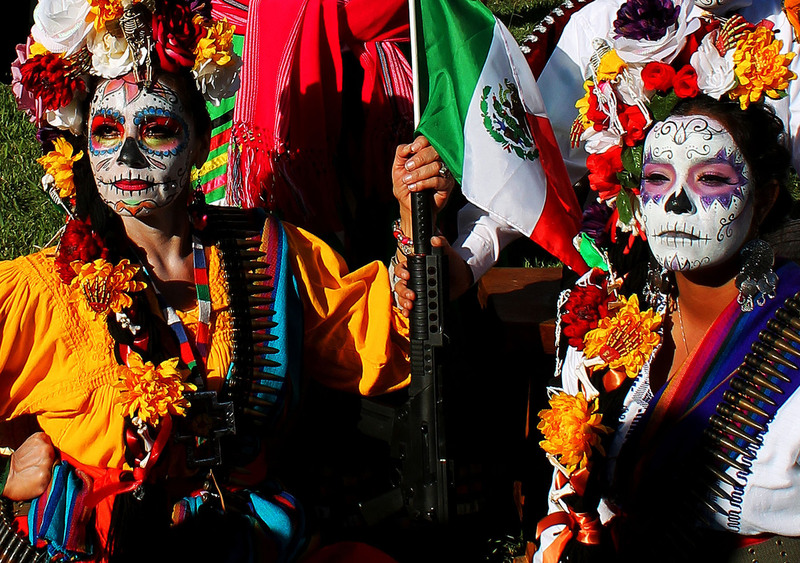 Dia de los Muertos, a traditional Mexican holiday, enjoys great popularity in Los Angeles, California. Every year, Hollywood Forever Cemetery hosts an elaborate Dia de Los Muertos festival on the cemetery grounds. Surrounded by Aztec dancers, colorful decorations, Mexican cuisine, and the dead, community members of all national origins come together to participate in a ceremonial altar competition that honors ancestors and loved ones who have passed. This is an image of festival participants at Hollywood Forever Cemetery. 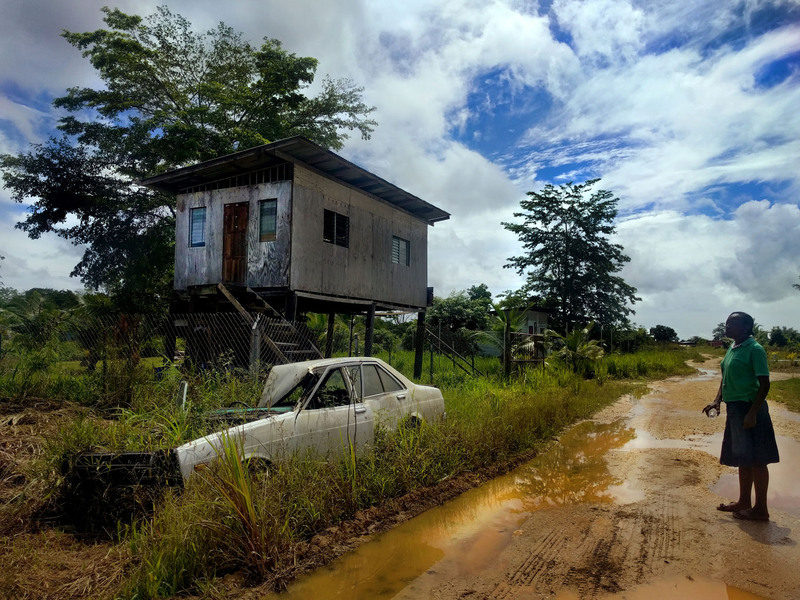 Sangre Grande, Trinidad. One of my research participants invited me to take a walk around her neighborhood. She pointed out plywood houses, like the one in this picture, that are rotting away with wood lice yet remarkably boast of being someone’s home. There are no paved roads in this part of town. The rain from yesterday has collected in potholes that also catch the reflections of wild trees and abandoned souls. “What is the government doing for us?” my companion asked me. I stood mute and decided to let my camera do the talking.